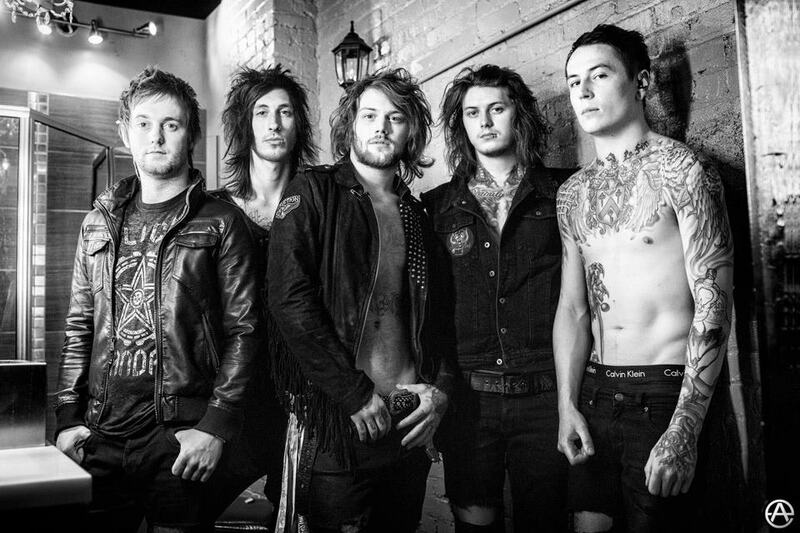 “We’ve just come back from a tour of South America,” the Asking Alexandria lead guitarist said from his home in the UK. “We did a bunch of dates, all around Chile, Columbia, Brazil, Mexico and Argentina… There were lots of riots, which made things interesting. As for From Death To Destiny, the band’s third studio album, Bruce said the band was more than happy with the final result. “I think it’s the best record we’ve released to date,” he said. “It’s a bit more radio-friendly, I suppose, than some of the stuff we’ve released before… We’ve gone back to our roots a bit, bringing back the early influences like Guns N Roses and Slipknot and KoRn. The album charted in the Billboard top five and hit number one on the US indie charts, eclipsing both Stand Up and Scream (2009) and Reckless & Relentless (2011). “You know, I really can’t pick a favourite song with this one,” Bruce said. “Moving On is like an ’80s rock ballad, which is a lot of fun to play live. “White Line Fever is musically a lot different for us, but I’m really proud of it. So if he is writing ’80s rock ballads, does that make Bruce a closet ’80s tragic? “Well my dad is a big blues fan,” he said. Bruce said his very first music purchase was Metallica. “I think that was the very first record I went out and bought with my own money,” he said. “But I’d say my next purchase would have been Blink 182, which is funny, I know, because we sound nothing like a punk rock band. Bruce said he was stoked to be part of the Soundwave 2014 lineup. “We were one of the first bands confirmed to play,” he said. “Well, that’s what our booking agent told me, anyway, but he might have just been saying that to make me feel good about myself. Bruce said he was particularly looking forward to playing alongside Avenged Sevenfold and KoRn. “We’ve become quite good friends with the guys from Avenged Sevenfold, we see them quite a lot on the festival circuit,” he said. “In a few days we’re heading to America to tour with KoRn, and I think All That Remains and Sevendust, which we’re all really looking forward to, especially now that Head is back in the band. “Then we go back to tour the UK again before Soundwave, so we’ll meet up with them again in Australia. “You know, the thing I remember most about Australia, what I’m most looking forward to, is Hungry Jack’s and Pie Face,” Bruce laughed. “Oh, and if our Aussie fans could bring us some clean jocks and socks, that would be amazing. Asking Alexandria will be performing at Soundwave 2014. For more information visit the web site. From Death To Destiny is available in stores now.